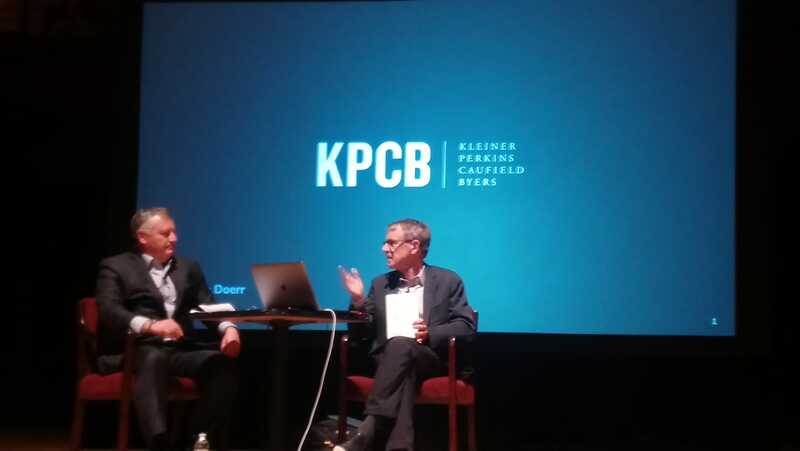 An Evening with John Doerr- Why He is Betting on AI and Amazon! 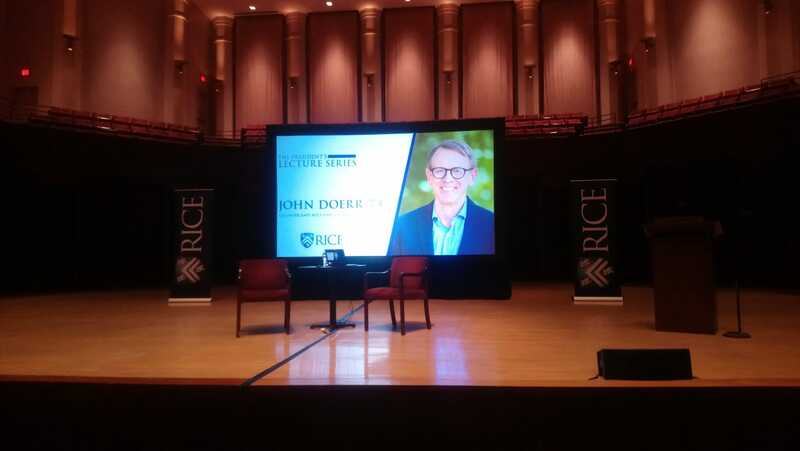 This past Tuesday, I had the honor of attending a talk and spending some time with John Doerr, astute American Investor and venture capitalist who was an early investor in tech giants such as Google, Amazon, Twitter, Compaq, Netscape, Sun and many others. A few titbits from the talk below. 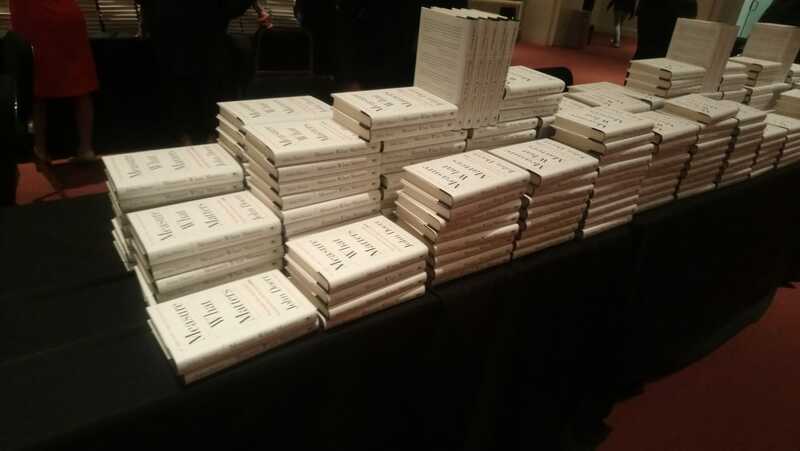 I strongly advise you buy the book, it is an amazing read! 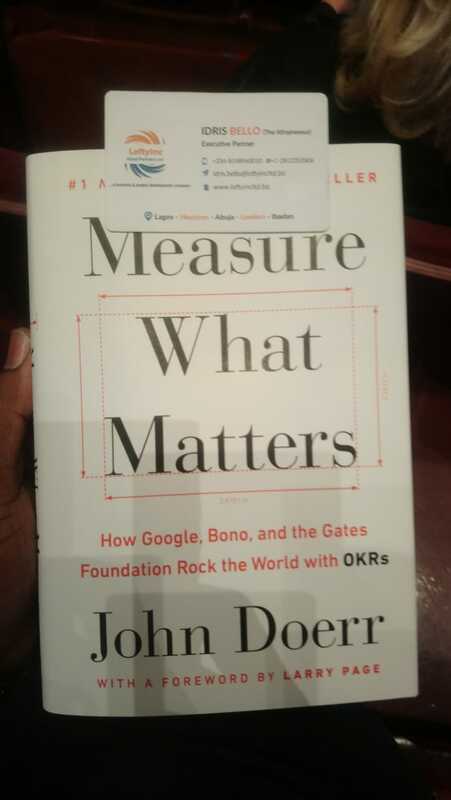 It reveals how the goal-setting system of Objectives and Key Results (OKRs) has helped tech giants from Intel to Google achieve explosive growth—and how it can help any organization thrive. 1. Talking about the need for metrics; if it doesn’t have a number, it is not a key result. Spoke extensively of the effect that Andy Grove had on him at Intel and even shared a few old videos of Andy teaching OKRs. 2. When you have the right people and the right goals, the magic is just around the corner. 3. Amazon is not an e-commerce company, it is a large data set with some stores attached to it. 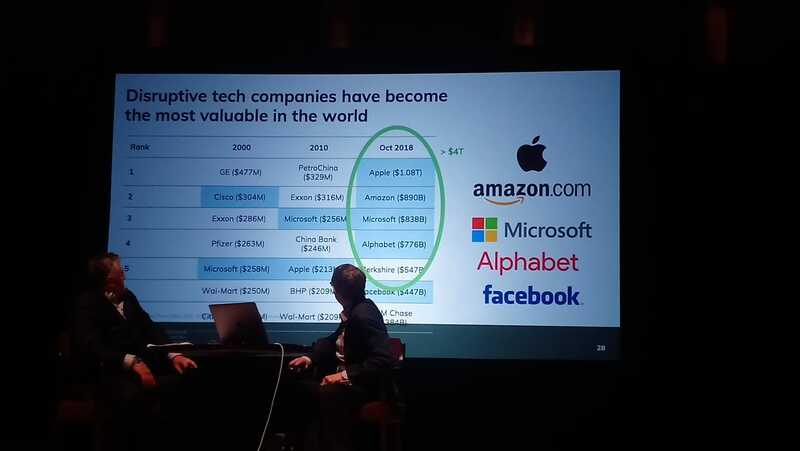 6.Tech tsunamis happen in 13- year cycles; there seem to be tectonic waves of innovation that cause exponential change and interestingly, every 13 years or so. Then 18 year old kid Mark Andreessen wrote a browser at the University of Illinois and that launched the internet revolution, From ’94, for 13 years, until 2006 to 2007, the internet revolution, Amazon, Google, all those companies, what happened then? John thinks AI/Machine learning, and particularly its application to healthcare and other sectors is the next wave which will birth the new tech giants! So, I guess we can watch out for Amazon Health or someone else in that space! 8. Batteries are the microprocessors of the renewable era. 9. 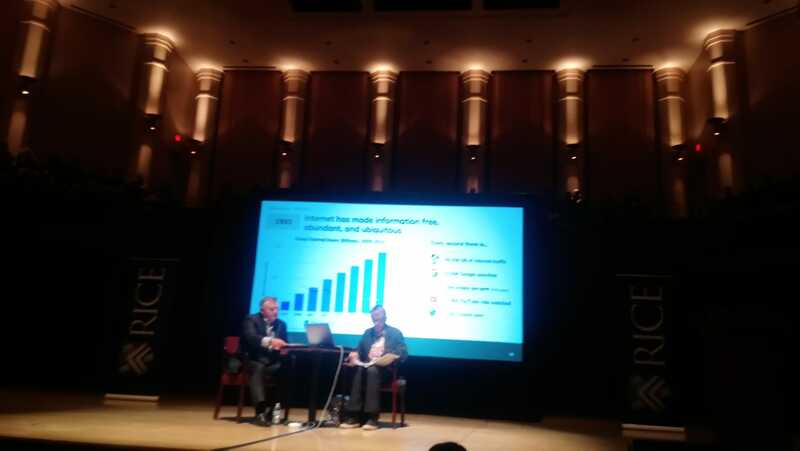 John expects to see major breakthroughs in the area of autonomous vehicles. 10. John also spoke about his failures, one of the major ones which is Segway-which he had forecasted to be the fastest company to get to the billion dollar mark. In hindsight he believes the product was over-engineered and missed the cost mark among other reasons. 11. In response to a question about a founder who lacks the ability to lead, he advised on holding honest conversations with the entrepreneur, and spoke about how they brought in Eric to lead at Google while Larry matured, and then Larry went back to being CEO. 12. There are very few problems in the world that cannot be addressed by better leadership! 13. Ideas are easy. Execution is everything, and for most endeavors, it takes a team to win! 14. 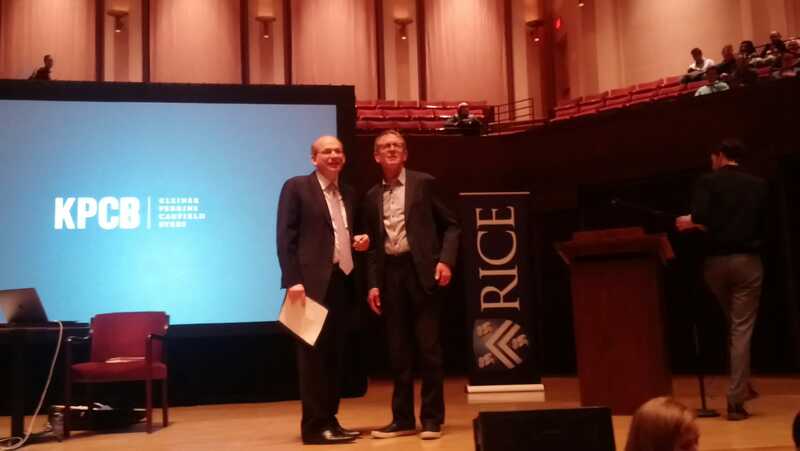 He is funding the Doerr Institute for New Leaders at Rice University and hopes that in a decade, Rice is known as the finest university producing the greatest leaders in the world. 16.In response to the question about how Houston can become a major tech hub, John emphasized the role of great universities. Every important tech hub is clustered around great universities, supportive angels, and role model entrepreneurs. Is your university doing enough? 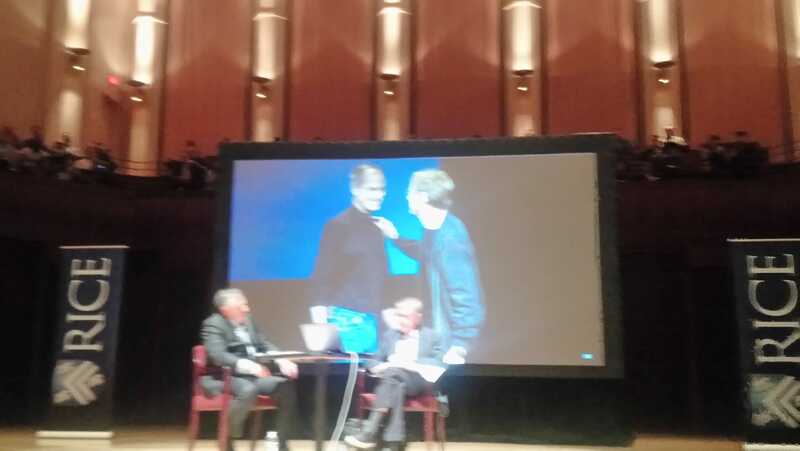 I also got lucky to be one of the two people that John took questions from. 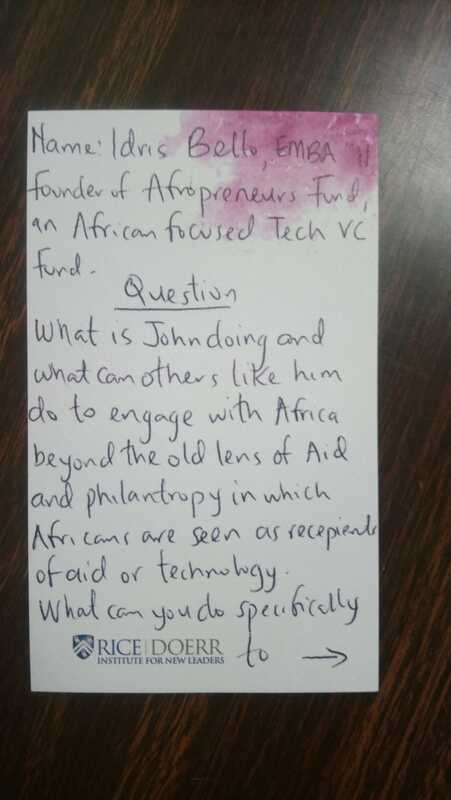 My question was on how folks like John could engage with the African continent beyond the usual lens of aid and philanthropy. 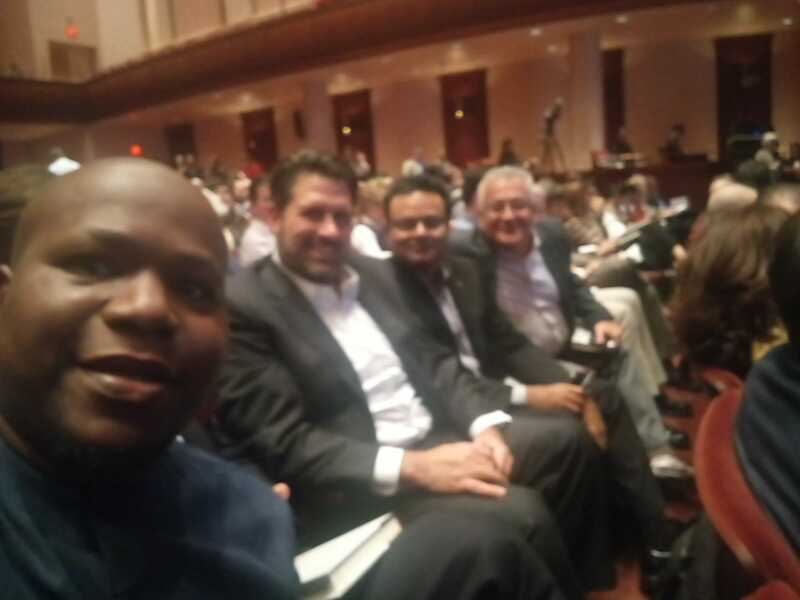 He responded on how there needs to be more investments into the continent and also how the world needs to rally towards solving the climate change issue as the consequences are going to be disproportionately felt by those in Africa and the rest of the developing world! 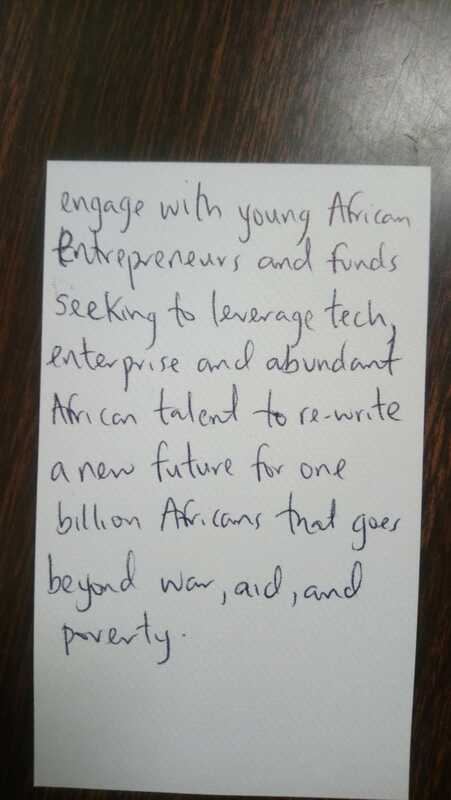 This entry was posted in Afropreneurship, branding, Education, Global Health, Innovation, Investment and tagged Africa, ai, amazon, Doerr, Innovation, John, kpcb. Bookmark the permalink.